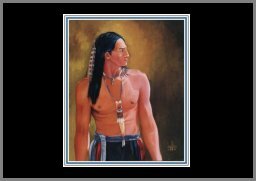 The Leonard Peltier Art Gallery Screen Saver has all the features listed below. 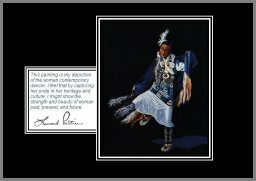 A sampling of twenty images of Leonard's original oil paintings are randomly displayed on your computer screen, and are accompanied by the following background music selected from the CD, "In the Spirit of Crazy Horse: Songs for Leonard Peltier"
User interface is intuitive and easy to use. Configurable settings include choice of 20+ transition effects and mutable background music. 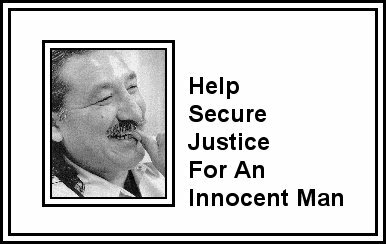 Background music selected from the CD "In the Spirit of Crazy Horse: Songs for Leonard Peltier"
System Accessories: Includes Desktop QuickStart and Screen Saver Control to make it easy for the user to launch and control the screen saver. *By providing a "sound clip" instead of the full song version, the screen saver execution file size is significantly reduced (MP3 music file format). * All donations are sent directly from REGISTER NOW! 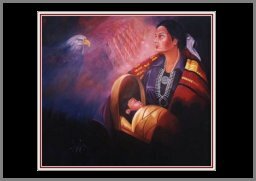 to the Leonard Peltier Defense Committee.